Way to go Annette Perry Falcons! 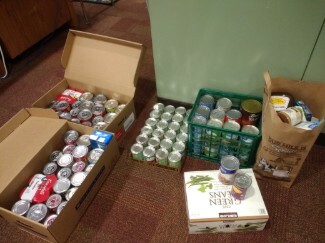 Student Council has exceeded our goal of 100 cans of soup and nonperishables! Thank you for your community support! Please keep the cans of soup coming! We will be collecting till next Monday, Feb. 11.